We are writing on behalf of the National Food Policy Governance Working Group, a multi-stakeholder group convened by the Arrell Food Institute, the Canadian Federation of Agriculture, Food Secure Canada, Maple Leaf Foods and the McConnell Foundation, with additional representation from several national organizations and independent academics. Since early 2016, we have met regularly, organized meetings with officials from your government department, contributed our voices to the consultation on Food Policy, and worked collaboratively to produce a paper, The Case for a National Food Policy Council, in which we discussed governance and made recommendations. We note and applaud the resources for elements of a food policy identified in the recent federal budget, which we take to be a signal for the much awaited announcement of the food policy itself. We anticipate that this will include details of funding, scope, current and future programs and, in particular, information about the governance mechanism plans for this work. Our working group wants to draw your attention to our joint proposal to create a new advisory body: the National Food Policy Council. This new independent multi-stakeholder body would convene actors from across the food system including governments, civil society groups, academic experts, and private sector stakeholders to provide consistent monitoring, well-researched advice, and broad stakeholder support for A Food Policy for Canada . We note there does not appear to be funding earmarked for governance within the Policy, as per the recent Federal Budget, and are therefore both curious and concerned for the message this may give regarding the long-term vision for A Food Policy for Canada impacting many sectors and stakeholders. 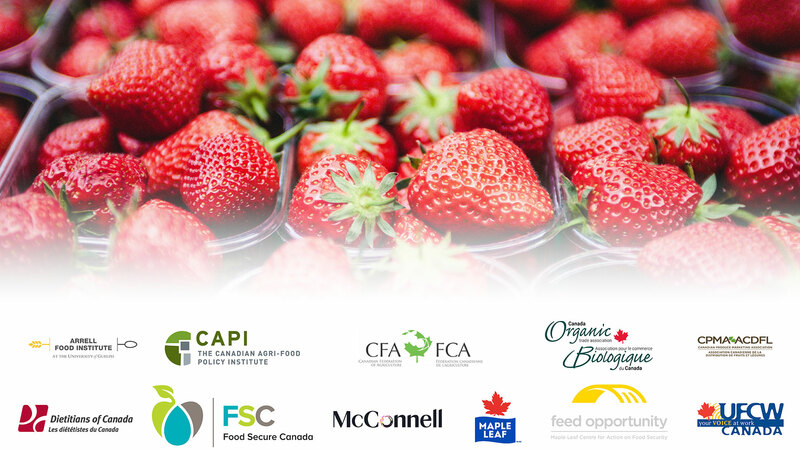 As we have described it, our group believes the National Food Policy Council would proactively engage with these diverse stakeholders to provide ongoing input into the implementation of A Food Policy for Canada . Equally important, it would help build collaboration, elevate and coordinate programs, and drive change among these diverse stakeholders to accelerate progress towards the food policy objectives. The idea of a National Food Policy Council has been raised repeatedly in consultations as a critical governance innovation that could help resolve two critical problems facing our food system: (1) the lack of a specialized agency to monitor and improve coordination across departments and levels of government involved in food, and (2) a lack of inclusivity in food policy-making. These two limitations in current agriculture and food system arrangements compromise policy coherence and effective action and contribute to the growing disconnect between Canada’s farmers and food industry and the broader Canadian public. We also urge the government to ensure that the concerns of Indigenous Peoples with regards to food policy are considered in all deliberations around governance. If properly established, the National Food Policy Council could play a key role in setting Canada in a long-term direction towards an economically robust, innovative and sustainable food system in which all Canadians can fully enjoy their right to healthy food and in which the industry flourishes. We include as an attachment our research which supports this proposal as well as the letter signed by a wide range of stakeholders from all sectors, sent to Minister MacAulay in the fall of 2017. Representatives of our group would be very pleased to meet with you, as the new Minister, and your officials, at your earliest convenience. We would welcome the opportunity to discuss an advisory mechanism that could fulfil the roles we have described in the attached materials. Without such a mechanism, we fear the new food policy will fall short in its ambitions, a situation we earnestly seek to avoid.